I have an oily scalp – blame it on genetics, my skin is oily too (at least I won’t be getting wrinkles anytime soon) – thus, I’m forced to wash my hair every day or every other. And as any great colorist or stylist will tell you, the worst thing you can do to your hair (besides jumping into a vat of chlorine – or using a flat iron or curling iron every single day) is shampoo it on a daily basis. Why? Because your hair needs to nurture its natural oils and because shampooing leads to stripping the hair (especially bad for us “faux colored” folks). So, what’s a girl to do when her hair is secreting enough oil to fill the tank of an SUV (yes, I’m obviously exaggerating! )… DRY SHAMPOO! Dry Shampoo is the most genius product since the invention of hand lotion! What dry shampoo does: Cleans hair without the use of water, absorbs excess oils, makes the hair smell puuurty, adds volume! Who should use it: Everyone can use dry shampoo! d) want to add volume to their roots (like for a special event, night out on the town, date with that certain someone). I literally live for my dry shampoo – and I stock up big time! Those bottles go quickly in the house of Sarah Howard… but since my love affair with dry shampoo, I don’t have to wash my hair as much, giving it time to breathe and helping my color to last longer. Not to mention, everyone knows that day-old hair looks a thousand times better! 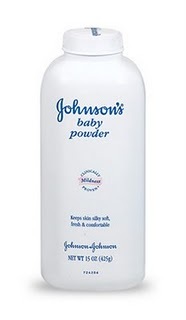 **Beauty Banter Tip** If you run out of your dry shampoo – or don’t feel like shelling out the cash for a bottle, you can always use BABY POWDER! All you do is pour baby powder onto the palm of your hands, pat them together to ensure that excess powder doesn’t pollute your mane, and rub your hands into the roots and scalp (motion as if you were lathering your head with shampoo!). Yes, this even works on darker-colored hair – but make sure that you don’t use too much or you’ll end up looking like you’re going grey. AND, be sure to rub the powder into the scalp fully and completely, allowing it to effectively soak up excess oils (thus you won’t be left with specks of white that could be misinterpreted as dandruff!). An added bonus: your hair will smell like the bum of a baby – clean, refreshed and free of oil and ciggies (if you smoke – which you shouldn’t! But sadly, I do)! It’s a win-win. Tons of companies are jumping on the dry shampoo wagon – while some are in spray cans, others come in pour-out nozzles. And even others come colored – made specifically for blondes, brunettes and redheads! Check back tomorrow for Beauty Banter’s Dry Shampoo Picks and Pans!